There are about 500 different Aboriginal peoples in Australia, each with their own language and territory and usually made up of a large number of separate clans. An Aboriginal child is being painted for a dance festival in Northern Queensland, Australia. 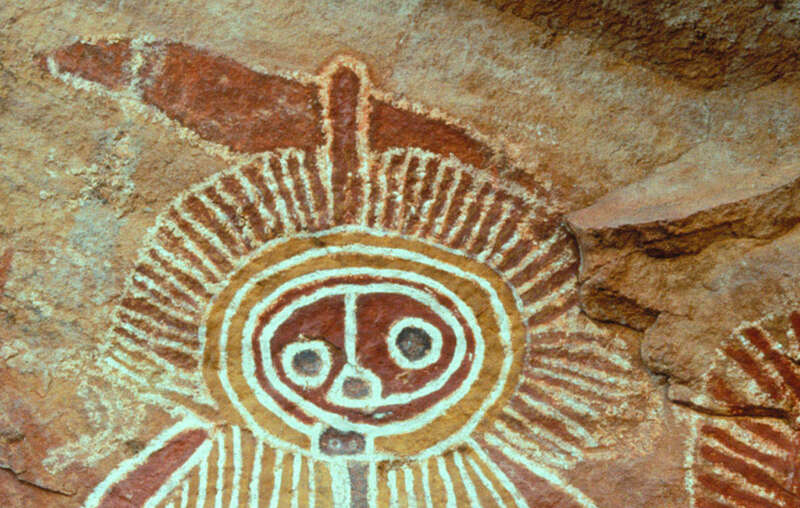 Archaeologists believe that the Aboriginals first came to the Australian continent around 45,000 years ago. ‘By Dreaming we mean the belief that long ago these creatures started human society, they made all natural things and put them in a special place. ’These Dreaming creatures were connected to special places and special roads or tracks or paths. In many places the great creatures changed themselves into sites where their spirits stayed. Aboriginals’ land was invaded from the end of the 18th century onwards, with catastrophic consequences for them. Before the invasion, Aboriginal people lived throughout Australia, although the highest population density was along the coast. Here, people seem to have moved seasonally between permanent settlements near the sea and others at the headwaters of the coast rivers. Evidence suggests that these communities managed their environment carefully to ensure a steady supply of food, bringing wild yams into gardens which they irrigated, for example, or building artificial dykes to extend the range of eels. Those Aboriginal tribes who lived inland in the bush and the desert lived by hunting and gathering, burning the undergrowth to encourage the growth of plants favoured by the game they hunted. They were experts in seeking out water. Today more than half of all Aboriginals live in towns, often on the outskirts in terrible conditions. Many others work as labourers on cattle ranches that have taken over their land. Many, particularly in the northern half of the continent, have managed to cling on to their land and still hunt and gather ‘bush tucker’. Ever since the British first invaded, Aboriginal peoples have had their land stolen from them or destroyed. Until 1992, when it was finally overturned, the legal principle governing British and then Australian law regarding Aboriginal land was that of ‘terra nullius’ – that the land was empty before the British arrived, belonged to no-one, and could legitimately be taken over. Most has still to be returned today, and the loss of their land has had a devastating social and physical impact on Aboriginal peoples. The initial invasions also sparked huge waves of disease that killed thousands – many others were massacred. In just over one hundred years from the first invasion of their land, their numbers were reduced from up to an estimated one million to only 60,000. During much of the 20th century, outright killings were replaced with a policy of removing Aboriginal children from their parents and giving them to white families or placing them in mission schools, to eradicate traces of Aboriginal culture and language. Today they still face racist attitudes, and there are periodic incidents of violence towards them, particularly affecting those in police custody. Their generally poor living conditions mean that Aboriginal people have a far higher infant mortality rate and suicide rate and a lower life expectancy than the rest of the population, and they make up a disproportionate section of the prison population. A landmark High Court judgment in 1992, known as the Mabo case after the lead plaintiff, threw out the racist ‘terra nullius’ principle on which Australian legal attitudes to Aboriginal land rights had been based. The decision recognized for the first time the existence of Aboriginal ‘native title’ over large parts of rural Australia. Many Aboriginal groups, such as the Martu of western Australia, have used the ruling to have their ownership of their ancestral lands recognized in law. Others, however, have failed to overcome the many legal hurdles placed in their way by the government’s land rights legislation. 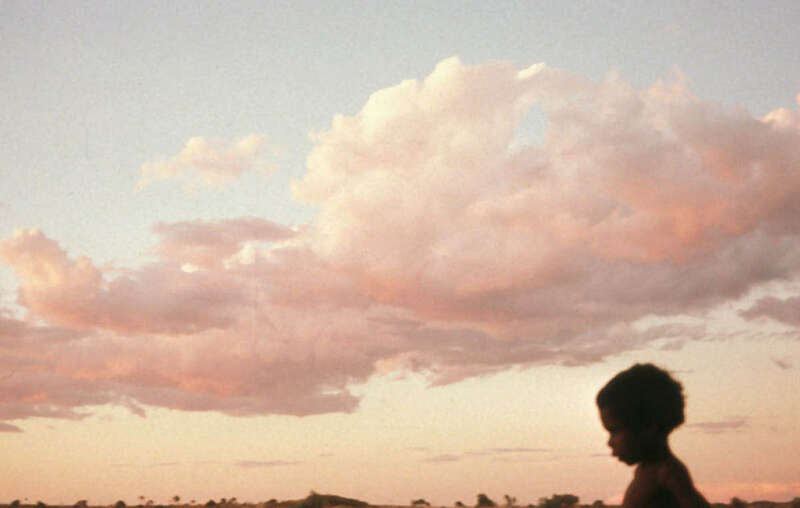 In 2007, publication of a report into sexual abuse and violence amongst Aboriginal communities in the Northern Territory caused huge controversy. The government’s response to the report was to launch the ‘Northern Territory National Emergency Response’ later that year. Many of the measures in this programme, such as the removal of Aboriginal communities’ right to control access onto their lands, and the compulsory acquisition of some communities, stirred a great deal of resentment amongst Aboriginal people. Write a letter to your MP or MEP (UK). Write to the President, your senators, congressmen or other elected officials (US). Write to your local Australian high commission or embassy, find out more. 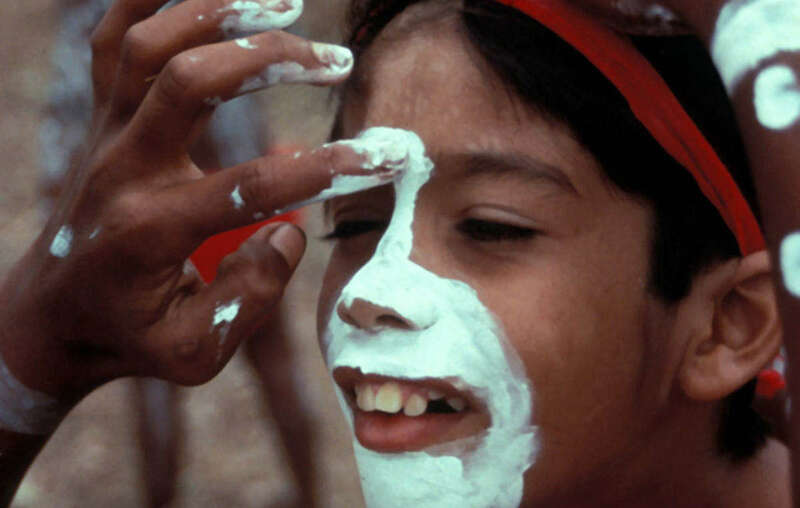 Survival has provided funds for some ‘homeland’ projects, whereby Aboriginal people return from towns to their ancestral land. We support Aboriginal efforts to win recognition of ‘Native Title’ to land in the courts and in parliament. Survival also supported the campaign of the Mirarr people in the Northern Territory against a proposed uranium mine on their sacred land. This campaign succeeded in persuading the mining company not to go ahead.